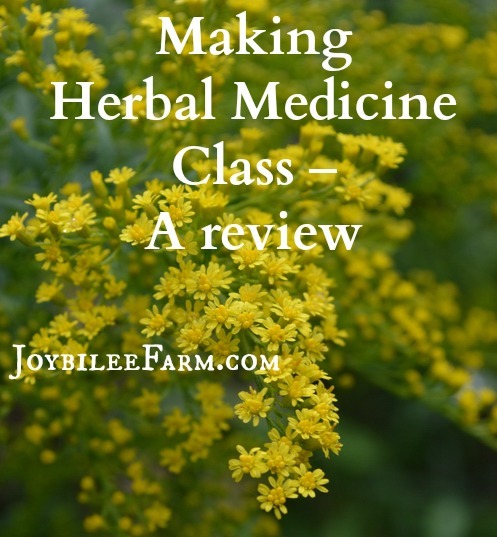 I thought it would be helpful to you to see a review of the three online herbal medicine classes and see what each one’s strong points are and where there are gaps that might be filled with a class or two from another of the Herbal Online Schools. Chestnut School of Herbal Medicine is a new comer to the online class world but an old hat at teaching herbal medicine. Juliet Blankespoor established the Chestnut School as a brick and mortar school in 2007. She’s been teaching outdoor herbal courses at the school in North Carolina for a while. Online Herbal Medicine Making Course. 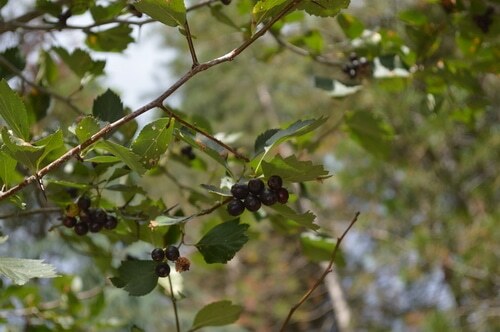 It is an integral part of the Online Herbal Immersion Program, a new 18 month class , with the Chestnut School of Herbs, that focuses on herbal medicine with an emphasis on the plants themselves, including how to grow them or wild craft them. The course is 6 months long, but can be completed at your own pace. Students who complete the requirements in 6 months will receive a certificate of completion. Students may also work at their own pace and take longer to finish the course, but those who take longer than 6 months will not receive a certificate. The course is taught by Juliet Blankespoor and Asia Suler. “Asia’s work is a unique combination of western and energetic herbalism, stone medicine, earth-centered shamanism and intuitive healing. She holds a B.A in English, Anthropology and Native American studies from Vassar College and a Reiki Master degree. Asia teaches at schools and gatherings across the country and is blessed to work intimately with people and plants, spirit and stones. How is the Herbal Medicine Making course presented? The course is divided into 3 modules. Each module is divided into several individual lessons. 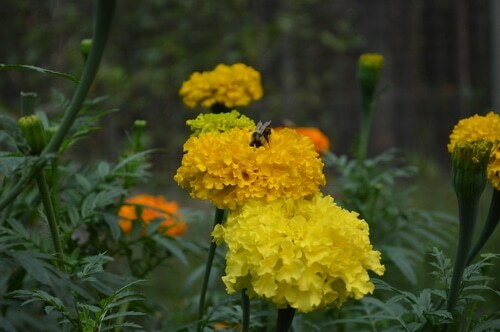 Each lesson focuses on one aspect of herbal medicine making. There are ample recipes and video demonstrations to guide your hands-on learning. Some of the over 35 individual lessons cover techniques that you may not think of as medicine making – culinary oils and vinegars, sauces, finishing salts, pestos, or mead making, for instance. Module one covers what we think of as herbal medicine, such as the making of tinctures, oxymels, syrups, and flower essences, to name just a few of the eleven lessons. Module two covers food as medicine, with an emphasis on using herbs with benefit in cooking and condiments. Making mead and herbal cocktails are also covered in some of the lessons. Module 3 covers topical applications of herbal medicine including both first aid uses and cosmetic uses. 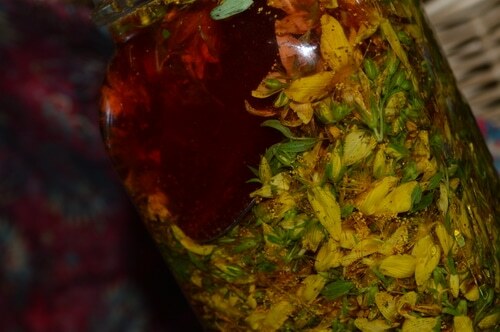 This course would suit those who want to make herbal preparations, from their gardens, for themselves, their own family, or their friends and neighbors. Those who wish to establish a business of growing herbs or making herbal medicine would benefit from this class and the subsequent Herbal Immersion program. The class is broad enough that those who are comfortable in both the garden and the kitchen will get a lot out of it. Homesteaders, gardeners, permaculture growers, those who work in remedial landscaping, greenhouse growers, and entrepeneurs who want to work with herbs would all benefit from this class. Are you a beginner? 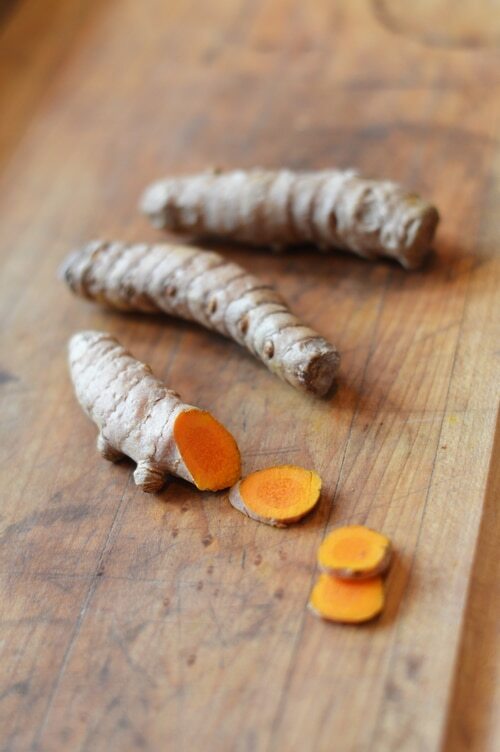 Someone who is just beginning to work with herbs would not be lost in this course. Do you have some herbal background already? Some of the current students have medical backgrounds and/or herbal businesses and are finding a lot of helpful information in the Herbal Medicine Making course. There is a good foundation in the basic terminology of herbal medicine that someone who is new to herbs and herbal medicine would be able to build on it with further study. The course is only 3 modules long and can be completed in 3 to 6 months. Students can move on to the Herbal Immersion Program and dig deeper into herbal medicine after they have laid a foundation through this course. Those who wish to grow their own medicines will greatly benefit from this class, as the emphasis includes not just making medicine from plants but also growing them and saving their seed. Environmental assessment and permaculture are part of the Herbal Immersion Program. 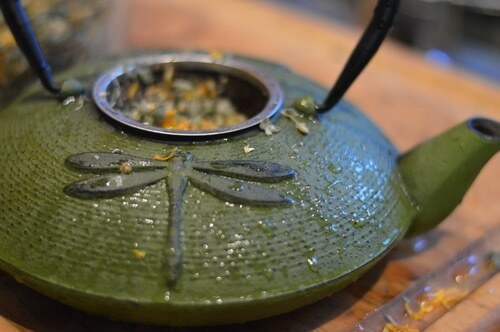 There is no other course with this emphasis in the herbal online world. Student who are pursuing a clinical herbalist outcome would benefit from this class as an adjunct to their formal studies, as other herbal programs do not emphasize actually growing your own herbs with the same scope and comprehension. 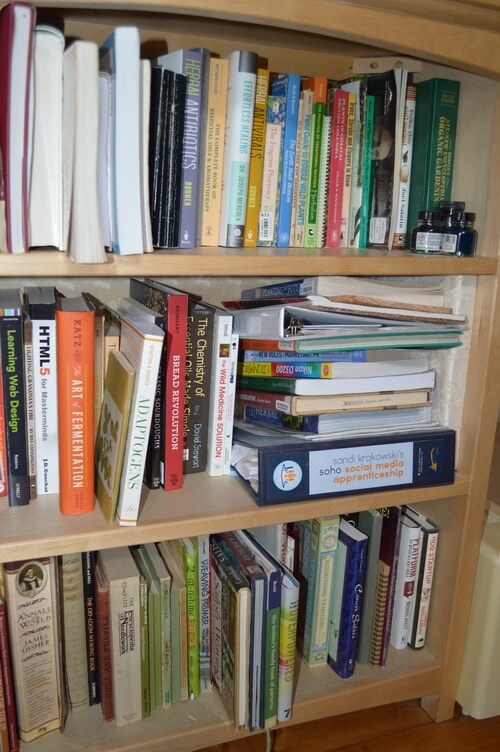 See The Herbal Academy offerings for more information about the Clinical Herbalist pathway. Students with learning disabilities are welcome in the program. There are special arrangements that can be made to meet their unique needs. Those who want their classes taught from a Christian Worldview may feel threatened by the New-Agey hint presented in a few of the lessons. I believe that a mature Christian would be able to sift through the Gaia-Green worldview and gain from the strong phyto-botanical knowledge base. The Worldview isn’t on the test. This class would not be suitable for a younger Christian Homeschool Student, however, due to the alternate worldview that may be confusing or offensive to some core Christian beliefs. There is a lesson on Plant Spirit Medicine that discusses briefly shamanism, homeopathy, flower essences, and other less evidenced-based herbal practices. Those who are looking for scientific peer-reviewed studies to support their use of herbal medicine, would be more satisfied with The Herbal Academy’s Beginner and Intermediate Herbal courses, or the Family Herbalist course from Vintage Remedies. However, those whose main goal is growing and making herbal preparations will find everything they need to not just get started, but to proceed with confidence in this course and the subsequent Herbal Immersion program. The course does a good job of catering to all three learning styles. For those who like to have an overview of a class or book, before they dig in to get the meaty parts, the whole class is available at once. You can download the study questions to work on as you walk through each lesson, to help you grasp the important parts. I appreciate this. Students receive a 260 page ebook file for the course with beautiful colour pictures. This ebook contains all the class materials that are on the website minus the video and audio files. Many students taking the class right now, had the ebook printed and coil bound so that they could refer to it in their study time. For those who feel overwhelmed by the depth and breadth of the class, each lesson is individually presented and there is a box to click to indicate your progress. When you get a green dot on each lesson in a module you’ll have an opportunity to test your knowledge in that module. Each module is tested separately. This class is beautifully packaged and attractive. Juliet and Asia have a very light hearted and upbeat way of teaching, which is a pleasure to watch. The videos are awesome and professionally done. You really get a sense of having spent time with friends as you watch them. There is a Facebook group dedicated to the course for participants. The group is supportive and friendly. As of this writing there are almost 500 students in the Facebook Group. Juliet and her team answer questions and are active in the group. It’s very well managed. The Videos are top notch and scripted with humour. The videos in other courses I’ve taken are more academic in tone and impersonal. In the videos in this class, Juliet and Asia take on personas, and you feel like you are playing along, even as you are learning. It’s very unique. This course has an emphasis on growing and using your own organically grown herbs, while using the herbal online shops like Mountain Rose Herbs for those you can’t grow yourself. I appreciate the self-reliant emphasis on growing your own or ethically harvesting wild herbs. Other classes mostly use purchased herbs and so there isn’t much discussion about tincturing fresh herbs. However, some herbs should be tinctured fresh such as bidens or St. John’s wort, because the active ingredient is lost when it is dried. This is discussed in the course. This class is focused on medicine making, cooking with herbs, and herbal salves and cosmetics. 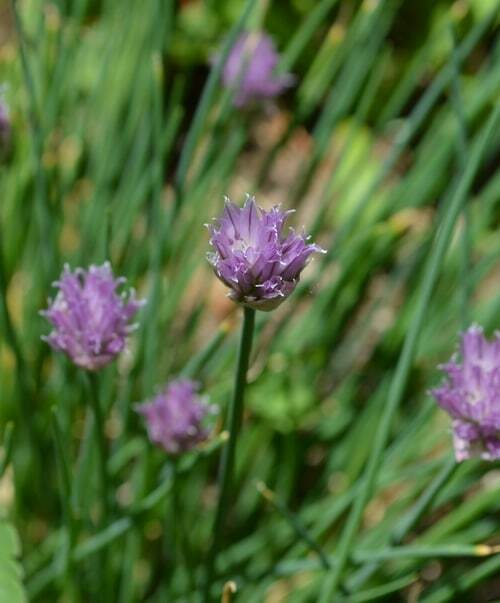 The Herbal Immersion Course that follows this course focuses on growing herbs and using them medicinally. The second part of the Immersion course focuses on the different body systems and herbs that are specifically helpful in supporting and healing imbalances in those systems. The immersion course is still being created, and is expected to be release later this year. I asked Juliet Blankespoor about what people could expect from the Immersion course when it is released. The last couple of modules in the Immersion course look at setting up a business based on herbs, whether as an herb grower, an herbal medicine creator, or other herbal business. Permaculture techniques in growing herbs are looked at in depth. Where appropriate references to scientific studies are given in the text. The course is not strong on reference to scientific studies. The class has printed materials, video, and hands on projects that need to be completed. Those with bandwidth problems may have trouble watching the videos. They are high definition, well written, and professionally filmed. Each video lasts from 20 to 45 minutes, which can be difficult to load if you are not on high speed internet, or have reception problems with satellite internet. At the end of each module there are study questions with a downloadable answer key. The test is based on the answers to the study questions. Students are able to take the test as often as necessary until they receive a passing grade. They have special arrangements for those who have test anxiety. Talk to the school if this is a concern to you. The course is comparable to The Vintage Remedies Family Herbalist Course ($495US) plus The Herbal Academy’s Entrepreneur Herbalist course ($595US). Neither of these two classes have the same emphasis on growing herbs though. It is similar in scope to The Herbal Academies Entrepreneur Herbalist Package, which contains the Beginner and Intermediate Herbalist Courses, plus the Herbal Entrepreneur Course ($1,085 US) Again, these classes lack the specific emphasis on growing herbs from seed. The Chestnut School’s emphasis on growing and wild crafting your own plants and beginning an herbal business as a grower, nurseryman, or plant medicine maker is unique. Making Herbal Medicine course is $425US but is included in the Herbal Immersion Program ($1800US). Students who enroll now in the Making Herbal Medicine Class will be able to apply their tuition toward the Herbal Immersion Program. Disclaimer: I received free tuition in the Making Herbal Medicine course. I was not required to review the course in exchange for tuition. Joybilee Farm is an affiliate for this course. This review represents my honest evaluation of the course. This post contains affiliate links. Have you taken any online classes in herbology or aroma therapy? What did you like about online studies as oppose to in person classes? Thank you so much for the reviews of different online programs! I’m trying to find ways to dip my toes into learning about herbalism (I’m in grad school, so I don’t have tons of time), and it’s a little overwhelming to pick one with little information. I’d never even heard of the Chestnut School, but I’m now doing a brief (and free!) intro course and I love it. Thank you! 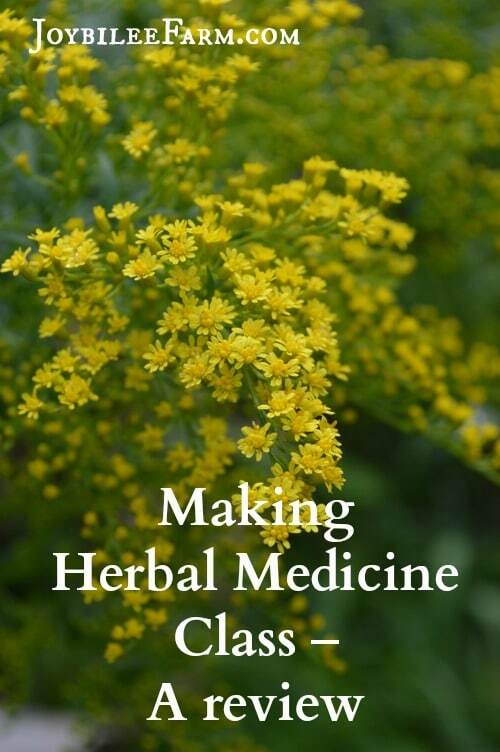 Thanks for this post, I learned something things I did not know about making herbal medications.